Conversion Rate: What Is a Conversion Rate? Your conversion rate is the percentage of visitors to your website that complete a desired goal (a conversion) out of the total number of visitors. A high conversion rate is indicative of successful marketing and web design: It means people want what you're offering, and they're easily able to get it! Raising your conversion rate means that more of your site traffic converts to meaningful actions that grow your business, whether that means filling out a form to become a lead (for example, requesting a quote for a repair service) or making a purchase. Let's talk about how to fix both of these problems. The absolute best way to improve your conversion rate is to change your offer. If what you're offering is truly irresistable, more people who visit your site will want to get it. 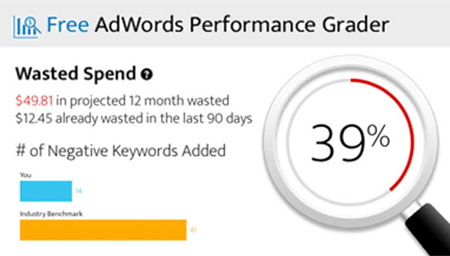 For example, WordStream was able to raise conversion rates significantly by creating the free AdWords Performance Grader, a tool that delivers a complete AdWords audit instantly. There's so much value, people can't help but convert.